What is it? 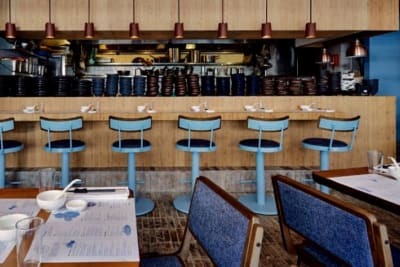 : Located within members’ club Greater China Club in Lai Chi Kok (for all you HK Island snobs muttering, ‘Wheeere?’, Lai Chi Kok is only a 20-minute MTR journey from Central – we actually timed it), Cadenza is a new addition to the venue’s dining portfolio. Along with Man Hing Chinese restaurant and outdoor-dining Hoshino Japanese BBQ, Cadenza is also open to the public, with slightly higher prices than those offered to members (non-members are also obligated to pay the 10 per cent service charge, which is is waived for members). The vibe: The decor is quite old-school gentlemen’s club in style (think patterned carpets, dark polished wood and wingback-esque chairs), but this comes with its own charms. It’s cosy and intimate, and the service was exceedingly friendly and earnest. The food: Though he’s not Italian by birth, Spanish chef Juanjo Carillo – whose 20 years of experience includes a stint at storied two-Michelin-starred Mugaritz – has captured the spirit of the cuisine with the use of first-rate ingredients fused with his own creative flavour combinations, cooking techniques and plating style (with a special fondness for slate platters). 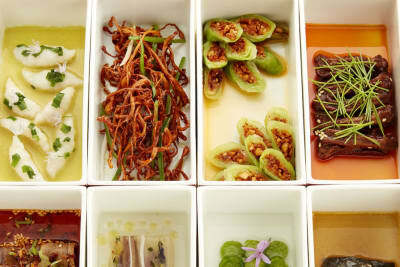 We started our meal with two cold dishes that ended up warming our palates with their sensational tastes and textures. 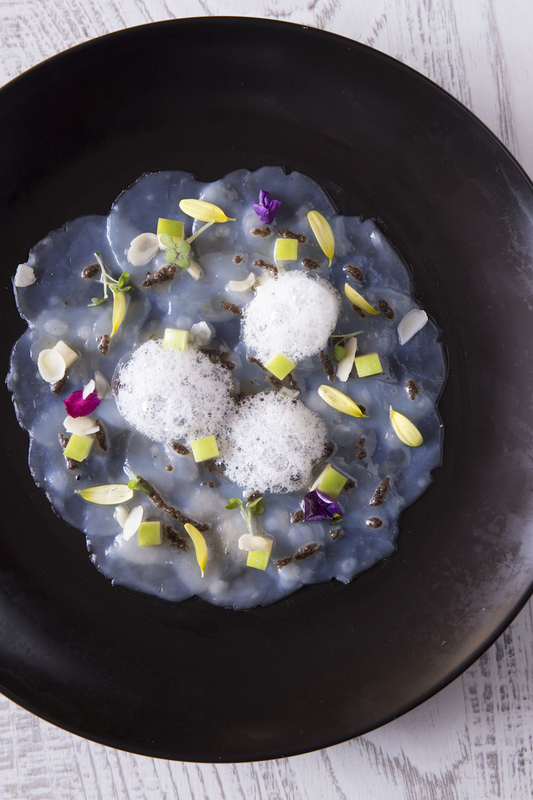 The paper-thin scallop carpaccio ($138 for non-members) was anointed with an array of ingredients that melded well together despite seeming incongruous at first: airy almond foam, bits of tart green apple and an aromatic black truffle dressing. Next up was our favourite dish of the evening, the tomato tartare ($88). 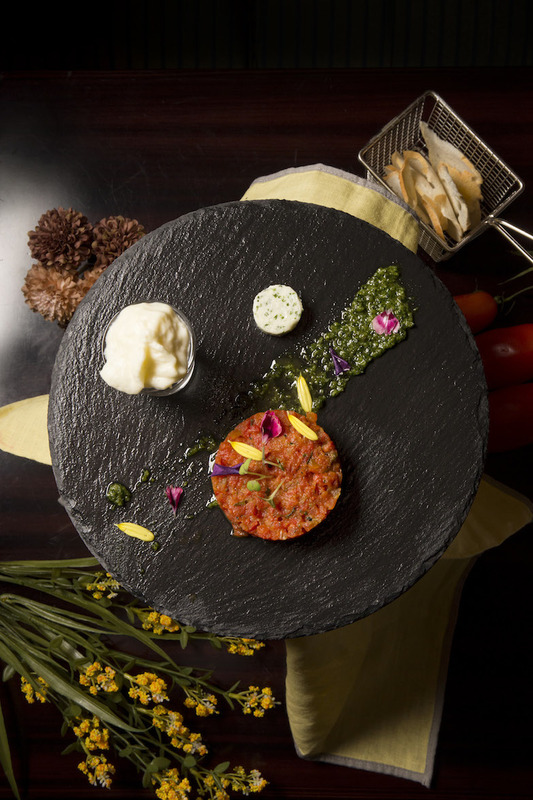 Fans of classic steak tartare won’t be disappointed by this meatless interpretation; in fact, we’d go so far as to say that this veggie version trumps all others. Chef Carillo was able to create a meaty texture that mimicked beef with wallops of savoury umami-ness, complemented by a rich Parmesan foam and creamy herb butter. 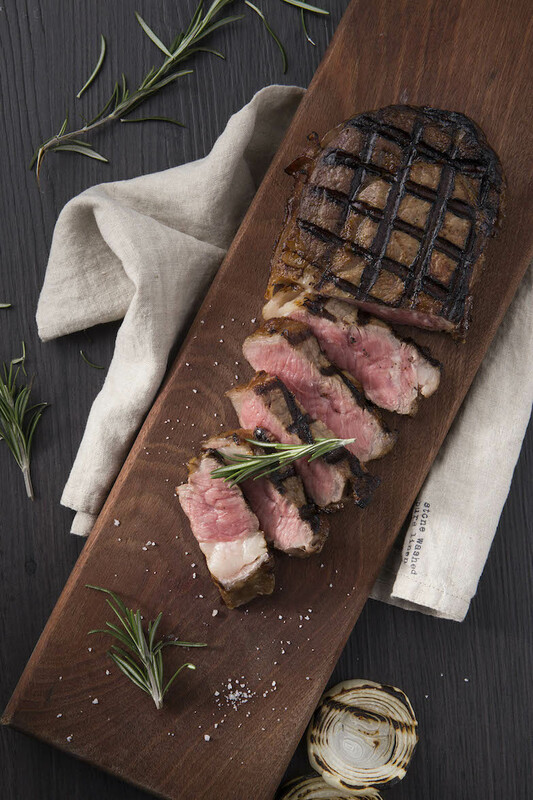 Our main course – a 400-gram USDA Prime rib-eye ($528) – could rival some of the top steakhouses in town at a price point that’s far easier on the wallet (it’s big enough for two). The various flavoured rock salts that accompanied the steak, from olive to grape, were a nice touch, though we have to admit that their flavours were too subtle to be distinguished. The chef pulled out all the stops with his desserts ($65 each). 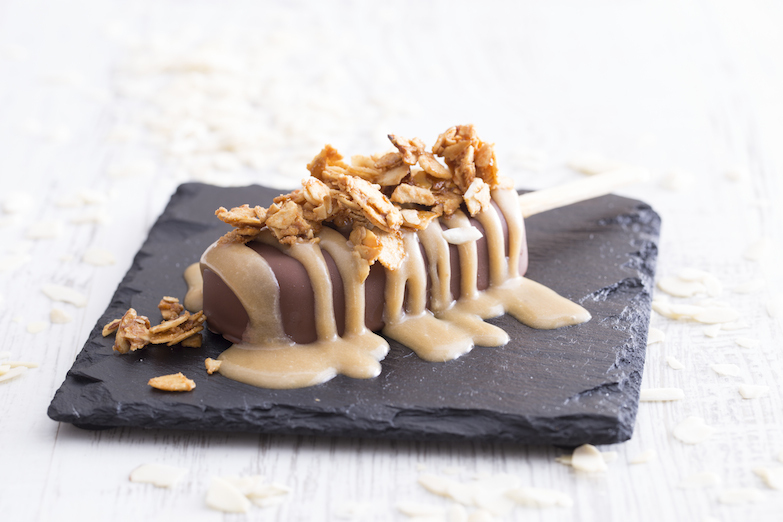 The first, a riff on a chocolate-covered ice cream bar, was filled with caramel panna cotta and topped with a drizzle of caramel and crunchy caramelised almond chips. The presentation alone made us giddy. The Cadenza Surprise Egg also showcased Chef Carillo’s playful side (warning: spoiler ahead). 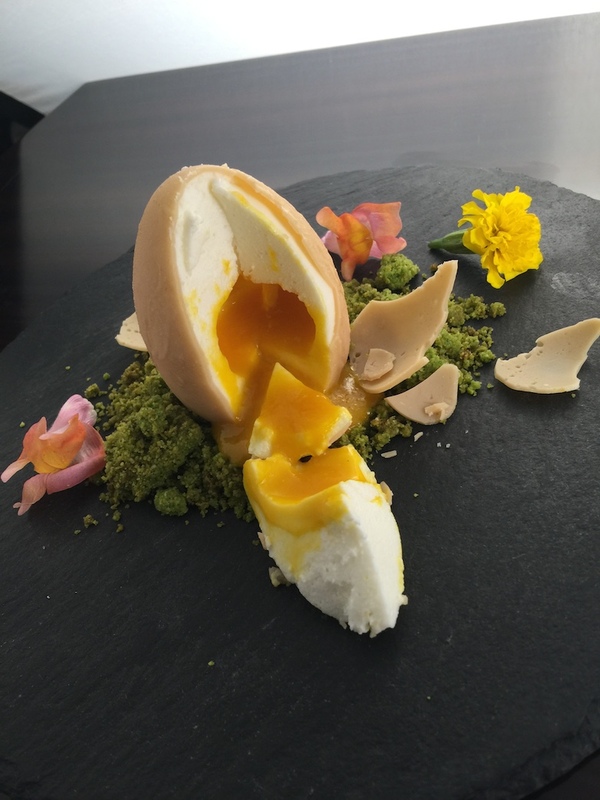 Resembling an Italian Kinder Egg, we shattered the white chocolate shell to reveal a runny yolk made of mango coulis and a coconut mousse egg white – this was a visual and gustatory triumph. 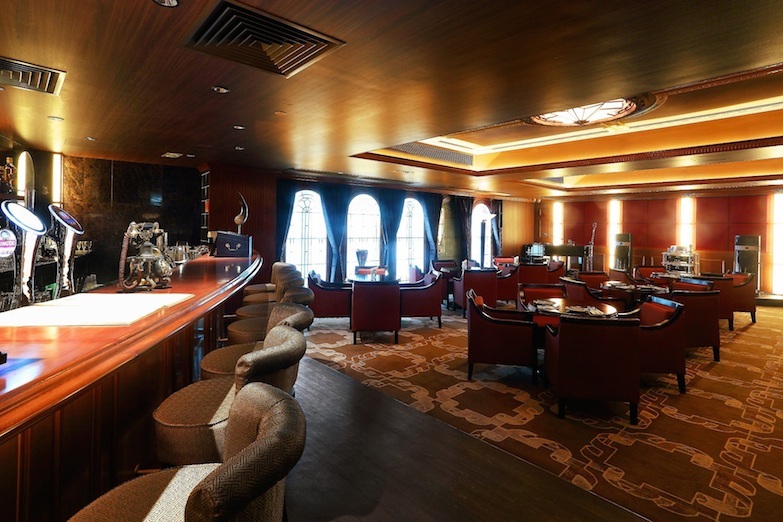 Top tip: Head to Cadenza on Wednesday–Saturday evenings for live jazz pumped out on a million-dollar sound system.